It’s been an annual tradition in the small-town community of Ridgefield for years – a chance for families to join their kids for a special Thanksgiving school lunch and to give thanks for the community they live in. 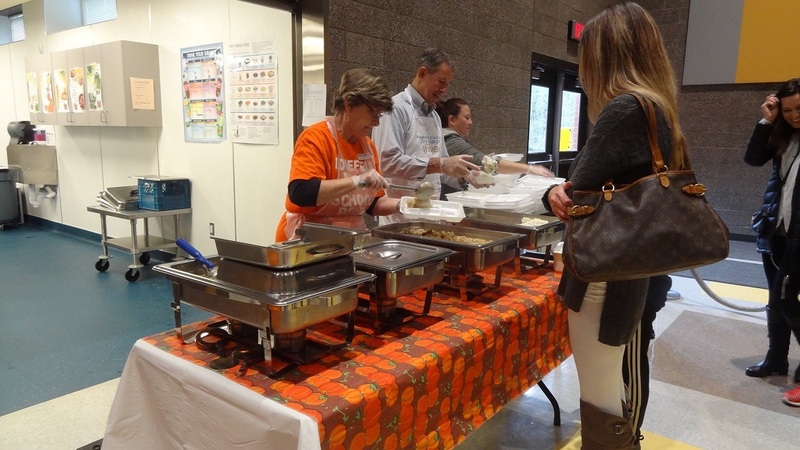 Ridgefield School District’s food services, operated by Chartwells, together with community leaders from the City of Ridgefield team up each year to host the popular event. South Ridge Elementary School welcomed over 600 guests at their Thanksgiving lunch on Tuesday, November 15; later in the week, the district’s other three schools, Union Ridge Elementary School, View Ridge Middle School and Ridgefield High School collectively served an additional 1,100 students, family members and school staff. 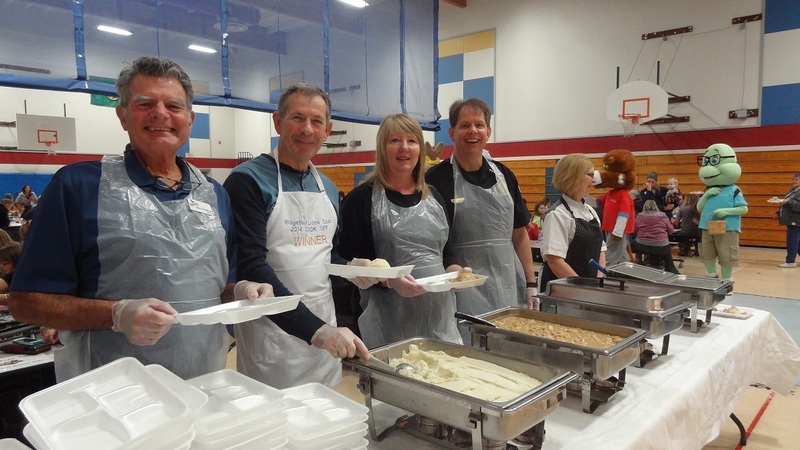 City of Ridgefield officials donned aprons and helped to serve the traditional lunch. This year’s menu included turkey and gravy, mashed potatoes, fresh vegetables, stuffing, dinner rolls, apples, cranberries and pumpkin pie. Students from Ridgefield High School’s student leadership group dressed up in Chartwells’ character costumes and added to the festivities, handing out apples to students and mingling with the crowd. 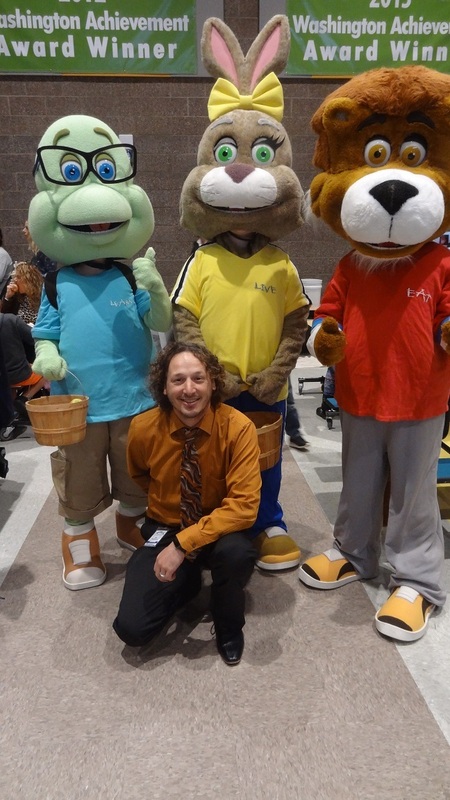 The characters: Lionel the Lion, Sydney the Turtle, and Ava the Rabbit (each representing a component of Chartwell’s motto, “Eat, Learn and Live,”) help to promote healthy eating in schools. 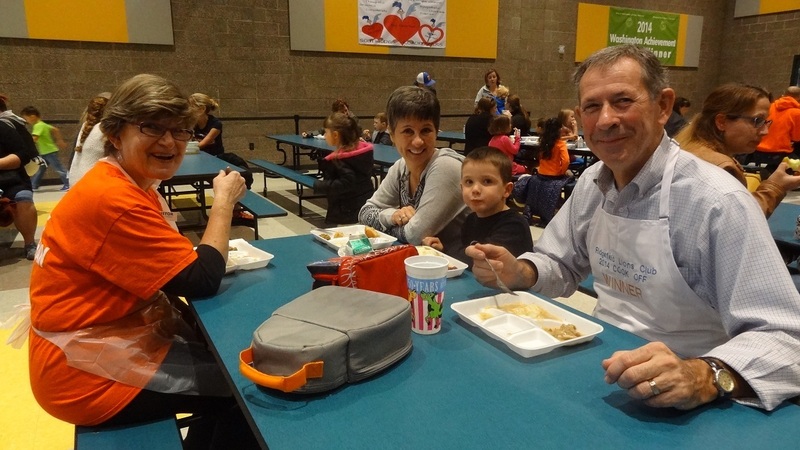 Overall, approximately 1,735 students and parents attended the traditional Thanksgiving feasts last week – a record for the small but rapidly growing school district. “The best numbers in my nine years here,” said Vowels.